Wanna make someone feel super special? 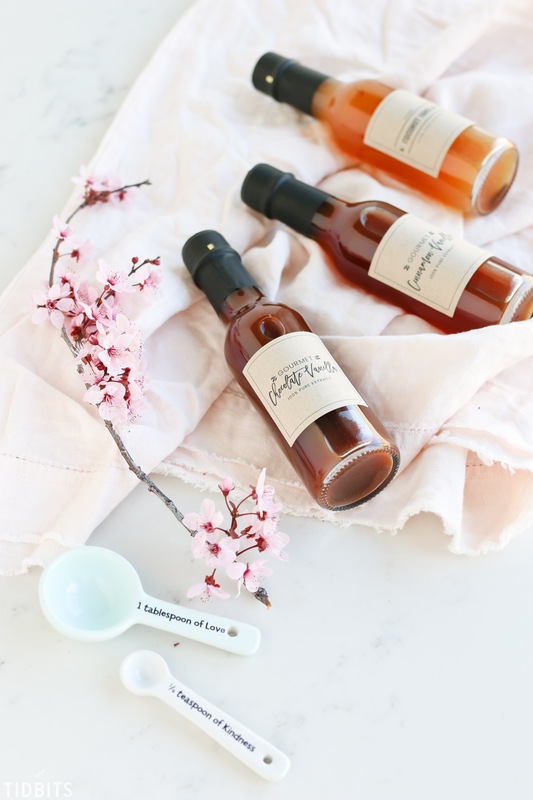 A delectable bottle of Gourmet Vanilla Extract finished off with adorable Gourmet Vanilla Extract Labels ought to do the trick. 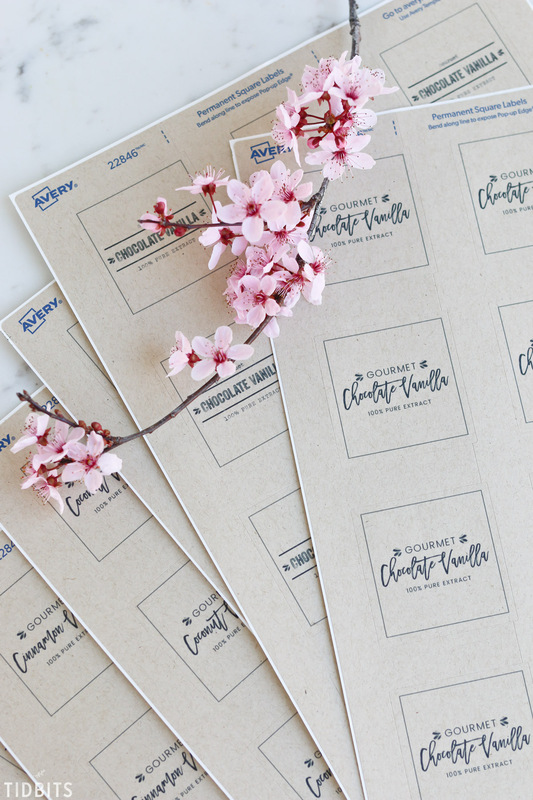 Free printable labels and 3 vanilla extract gourmet recipes, right here! We’ve got your gift giving covered for life. It’s crazy fun to be back at it, collaborating with my sister Marci (from the food side of TIDBITS) to bring you something amazing. We always say, together we make the perfect housewife. 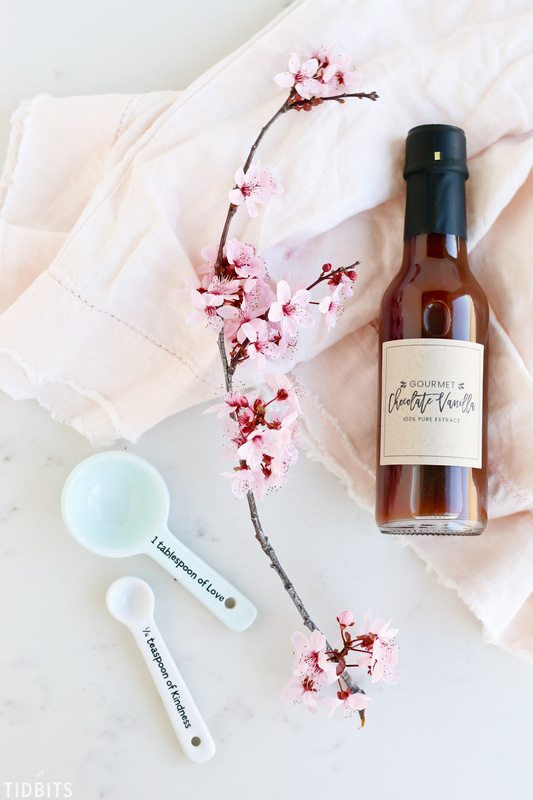 With Marci’s insane creativity in the kitchen and my obsession with free printables, we’ve joined powers and are bringing you the ultimate Mother’s Day gift idea, all in a nice little package. 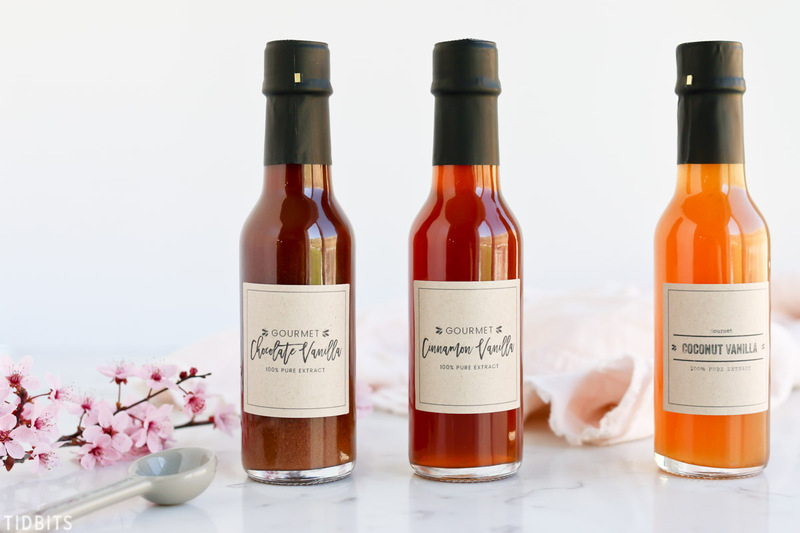 I so wish this screen had scratch and sniff capabilities, because if you could just get a wiff of these 3 Gourmet Vanilla Extracts, you wouldn’t hesitate for a second to make a batch. But wait . 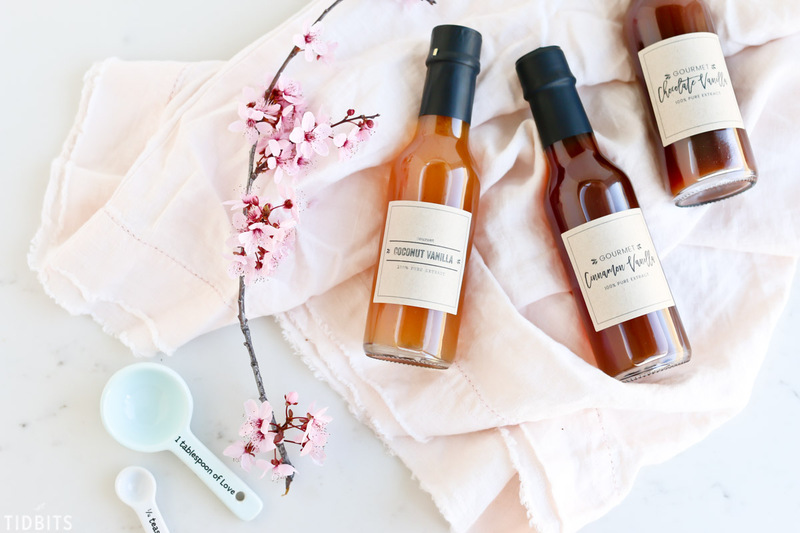 . . did I just hear you tell me that it takes 6 months to extract vanilla bean flavors into the alcohol, which is certainly not enough time for Mother’s Day gifting? Well Marci is here to show us, once again, the magic of the Instant Pot (or more correctly referred to as Electric Pressure Cookers). 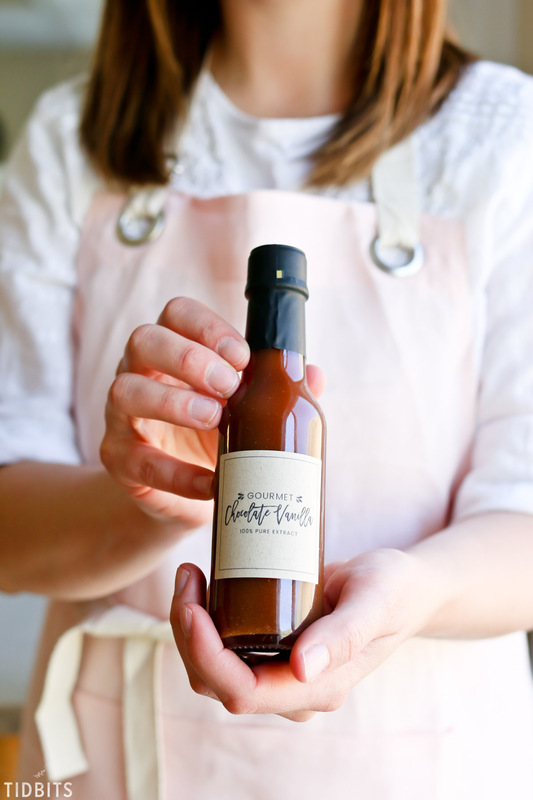 Watch this quick little video to discover how easy it is to make 100% pure Vanilla Extract in minutes, not months! Then you can click over to Marci’s TIDBITS where she will give you the recipe and the ins and outs. We’ve done several posts explaining this method to answer all your questions. 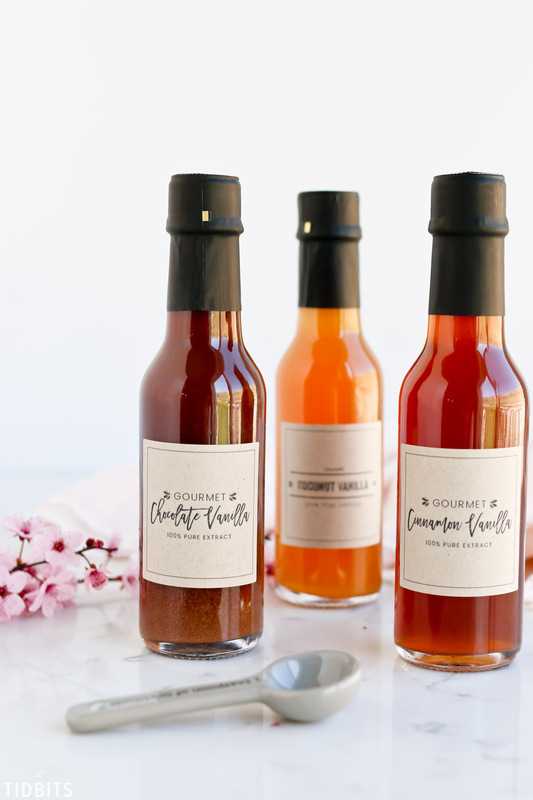 Once you are convinced you need to try Instant Pot Vanilla Extract and change your life forever, then allow me to provide you with 3 labels to go with 3 unique and gourmet Vanilla Extract flavors. These add just a bit more pa-zazz to help you achieve even richer flavors in your baked goods. 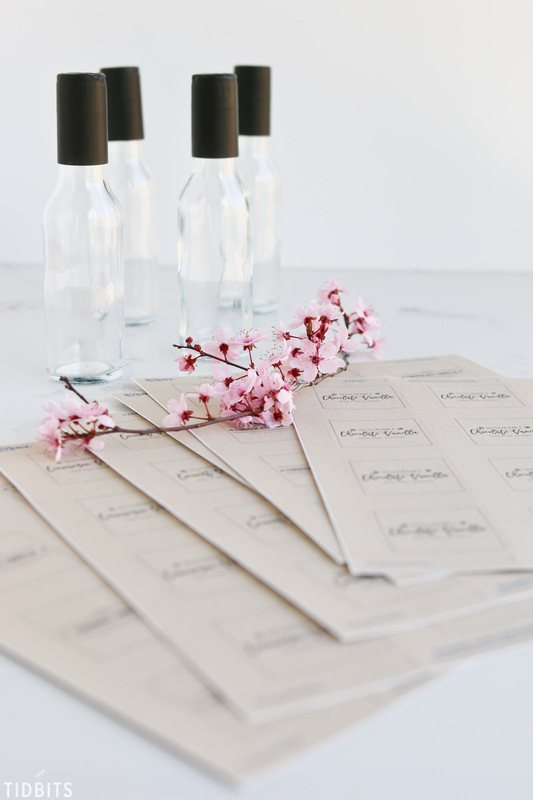 All my free printables are housed together in my TIDBITS SUBSCRIBER LIBRARY. 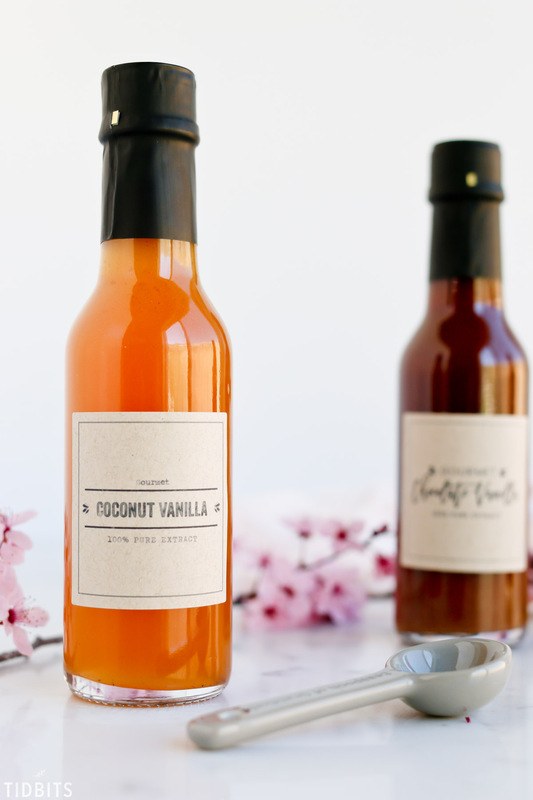 To gain instant access and to get your free Gourmet Vanilla Extract Labels, enter your email below. *Already a subscriber? No need to fill out the form again. A link and passcode will be at the bottom of every email update I send and you’ll have access to the library forever. I’m providing two styles of each flavor, so pick your favorite or do both. I’d love to know which is your favorite!! *Files available in the library. 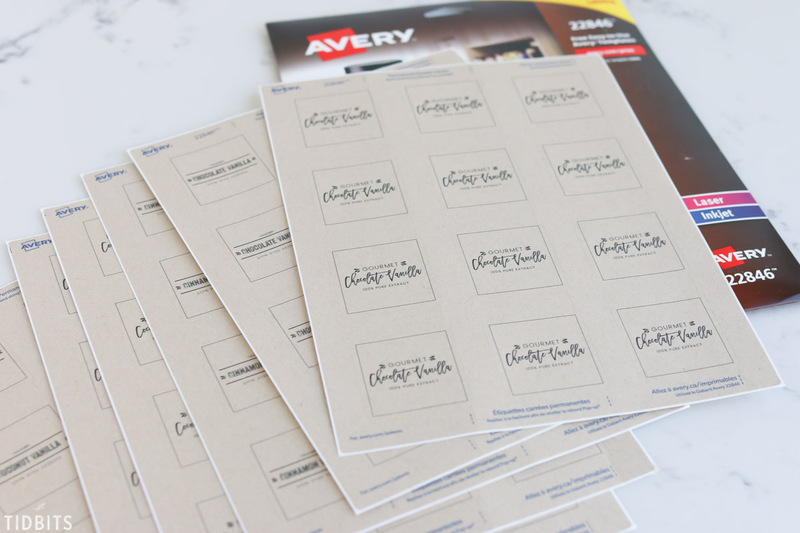 I’ve found the best and most reliable way to print labels is using Avery labels and software. Don’t be intimidated, it’s really very easy! 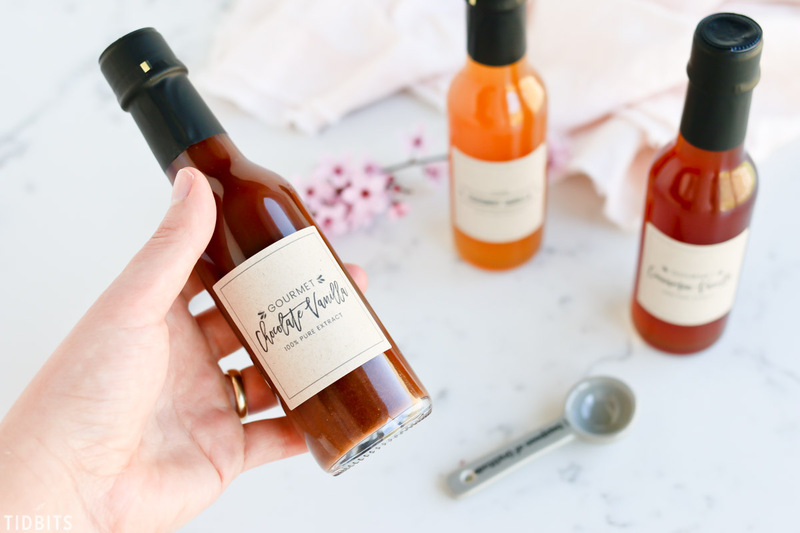 These graphics are square and work great with Avery Labels with the product number 22846, which is the 2 x 2 brown craft paper label. You can use any other square label or software, but I gave detailed print instructions using Avery.com in this post here. Please refer to that post if you need help getting them printed on Avery.com. 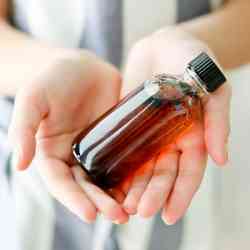 Vanilla extract can be pricey (hint, save on beans with Marci’s special links on her site), so it’s nice to have a smaller bottle when gifting. 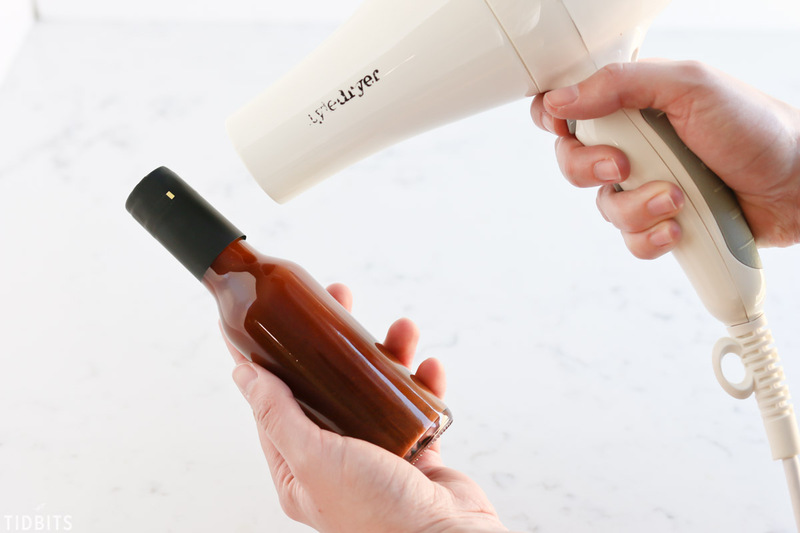 I bought these darling and fancy pants 5 oz bottles that have a wrap seal which you can easily shrink and seal to the bottle with a blow dryer. So cool! But any cute bottle you find should do the job. I just thought the seal made it look totally legit and even more gourmet!! 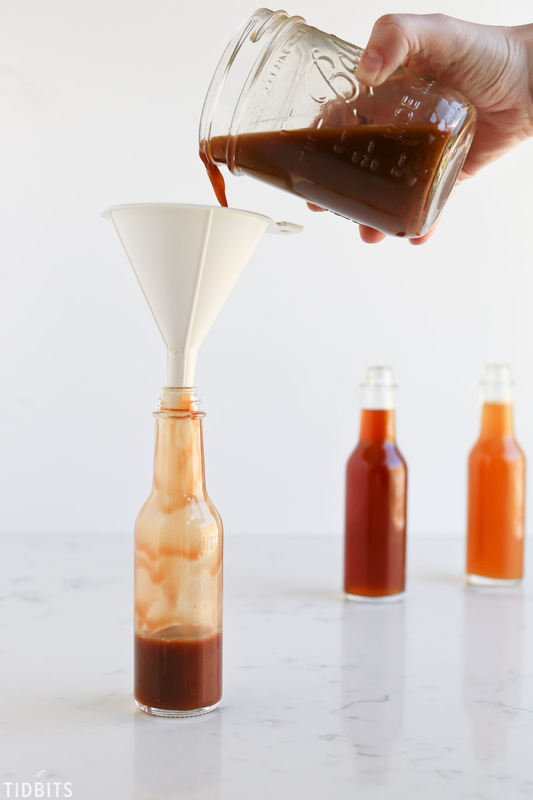 Marci and I were completely in love with the different tones each flavor created in the extract. I hope you’ve enjoyed this idea and the resources to create one of kind gifts, made with so much love. Don’t forget to love on yo’self too!! Please let us know if you have any questions! Thank you for visiting and feel free to share this post with your friends on Pinterest, Facebook, Instagram or Twitter! 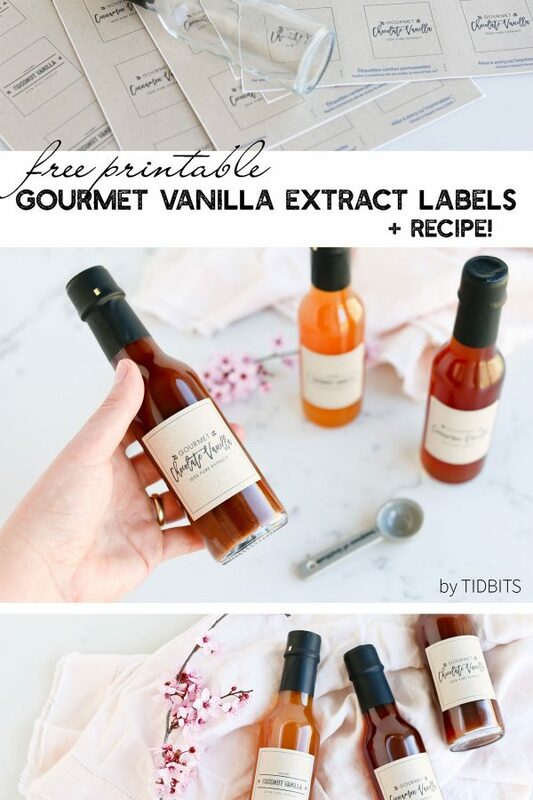 Thank you so much for sharing – in full detail how you made those beautiful GOURMET VANILLA EXTRACT LABELS FREE PRINTABLES and of course the 3 different vanillas!!! One day…. 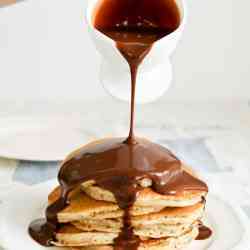 I will make this! Thanks again!!! 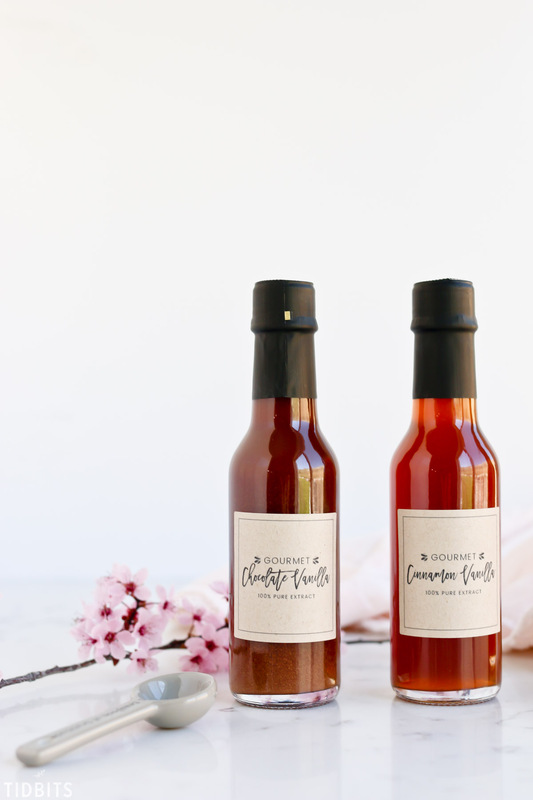 I’ve made the delicious gourmet vanilla extracts, but I’m having a problem getting the labels. I’m a subscriber and used the password to get into the printable library. I get in, but I seem to be in an endless loop of clicking on the text, and then being taken to the sign-up section. Please help! Thank you!! 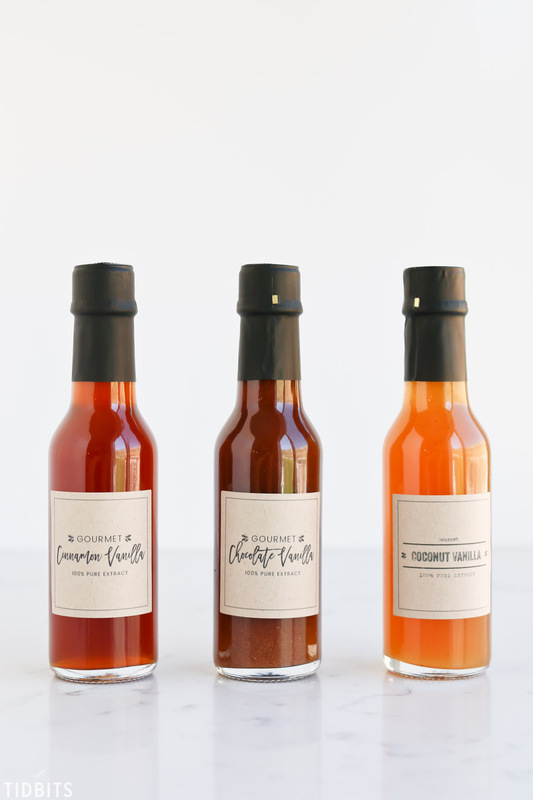 I am trying to download the printables for Gourmet Vanilla Extract in cursive but I can not find the download link. I went into the Library and put in the password but I stil cant get the download. Please help me. 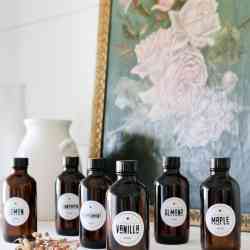 I am having the same issue with the labels – did anyone get the fix or a link for them?